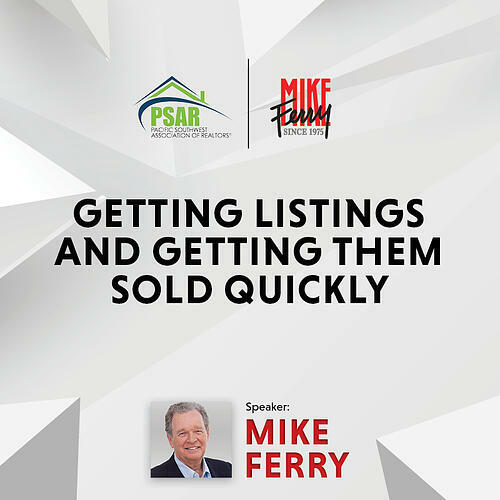 A great listing and sales seminar from Mike Ferry who has a proven system has helped to create more Real Estate millionaires than any other real estate coaching system for over 43 years. Hear his insights about the industry, listen to his techniques on setting yourself apart from the competition and get his perspective on market conditions. Invest in yourself AND in your future! An event which will sell out so please claim your spot as soon as possible, limited seating available!